Sam Judge of the Lincoln Giants is one of the top pitching prospects in the minor leagues. His dark mane, burly physique, and feral glare intimidate batters even before they face his wicked repertoire of pitches. Brian "Boo" Carter is barely hanging on to his spot in the Giants rotation. He wrestles with a lack of confidence, a nonexistent curve, and his feelings for Eileen Palmer—Sam's girlfriend. Both pitchers are chasing dreams. Both pitchers are facing barriers made more formidable by their off-field pursuits. With the Giants season hanging in the balance, Sam and Boo must make decisions that will impact far more than their careers in baseball. 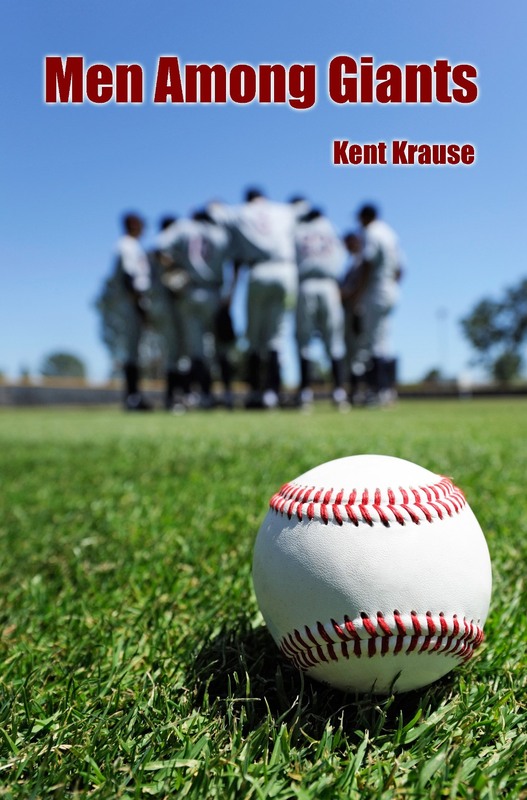 "Kent Krause captures the flavor of the minor league experience as well as offering the reader a rattling good tale of action on the diamond, love, betrayal, and ultimate redemption. The deftness of his baseball dialogue reminds one of Ring Lardner's classic, You Know Me Al." Men Among Giants is available as a paperback and a Kindle e-book.